Be Thumbody coincides with the most dangerous driving season for teens.
. . . reckless and distracted driving is still the number one killer of teens in America . . .
Impact Teen Drivers and the California Highway Patrol announce the May 27th – June 7th launch of ‘Be Thumbody’, a social media campaign reminding drivers to keep their hands on the wheel and drive without distractions. 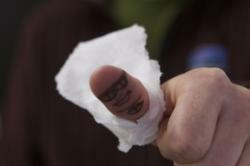 The campaign coincides with Memorial Day weekend (one of the deadliest weekends on our roads), and challenges social media users to change their profile picture to a ‘Thumbody,’ a thumb made to look like a face, reminding others that texting while driving isn’t just illegal, it’s deadly. “Though we have seen significant progress in education and awareness efforts, reckless and distracted driving is still the number one killer of teens in America,” says Dr. Kelly Browning, Executive Director of Impact Teen Drivers. Martha Tessmer, the Education and Outreach Coordinator for Impact Teen Drivers, knows firsthand the loss that many families have experienced from this epidemic. Her son Donovan was killed in a driving collision in 2007, and his story has subsequently been shared with hundreds of thousands of students. "Be Thumbody is such a great campaign because it reaches teens where they are—online—and asks them to share the message that you can ‘Be Thumbody,’ you can stop your friends from driving distracted,” Tessmer said. The campaign is supported by the California Highway Patrol, the California Office of Traffic Safety, and California Casualty, and is part of their ongoing efforts to prevent teens from engaging in risky behavior while driving. Impact Teen Drivers is an organization dedicated to educating teens about the dangers of reckless and distracted driving, providing schools all across the country with hard-hitting educational materials that effectively educate teens on the dangers of reckless and distracted driving and empowers them to make good decisions behind the wheel. Visit http://www.bethumbody.com or http://www.impactteendrivers.org for more information and links to additional resources on this topic. 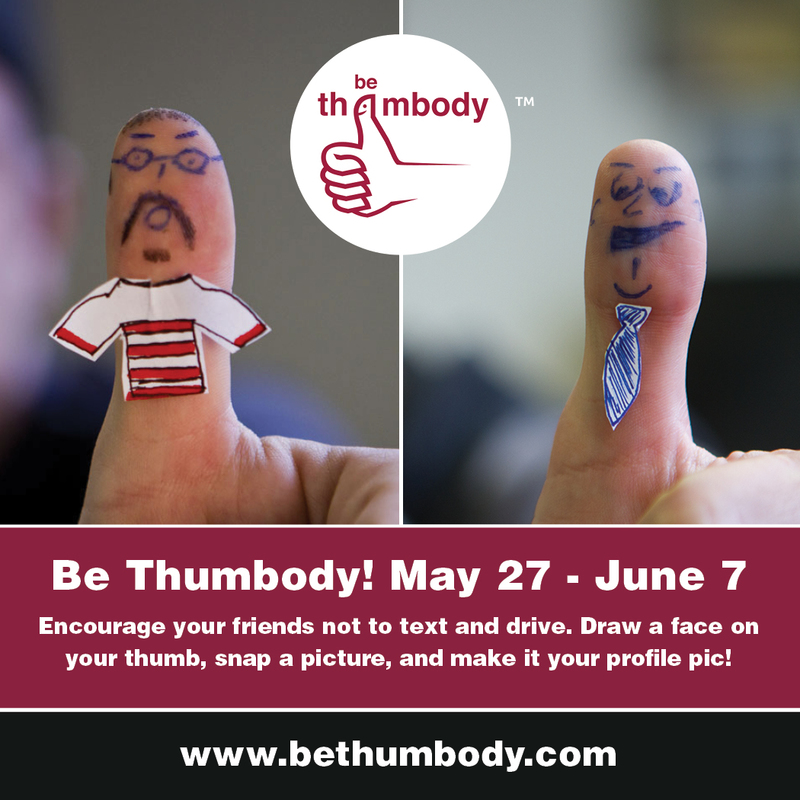 Be Thumbody | May 27-June 7, 2013Be Thumbody, a social media campaign, challenges teens to not text and drive.